No Access To Guide Dogs. Booking a hotel for a night away, reserving a table at a restaurant for a leisurely meal, or calling for a taxi to get from A to B, is something which most of us would take for granted, however, if you are visually challenged and use a guide dog, such actions are not nearly so straightforward. One would think, in 21st century Britain, that discrimination, towards guide dog owners with respect to accessing everyday services, is a thing of the past, but, in spite of legislation such as the Equality Act, doors are often still closed, causing distress and disappointment to these people, who are merely trying to live a life as independently as possible in society. This discussion cites a number of real-life examples, encountered by the author. These show that, although strides have been made over recent decades to raise awareness of disability in employment and access to services, prejudices still raise their ugly heads. Many people, who do not face discrimination on a regular basis, are shocked that it does exist, in our towns and cities, in our streets. It is not the intention here to suggest that such discrimination is universal, nor that it is constant; there are some definite exceptions, where service, given to visually challenged people, is excellent, however, it is worrying that instances of prejudice are as rife as they are. 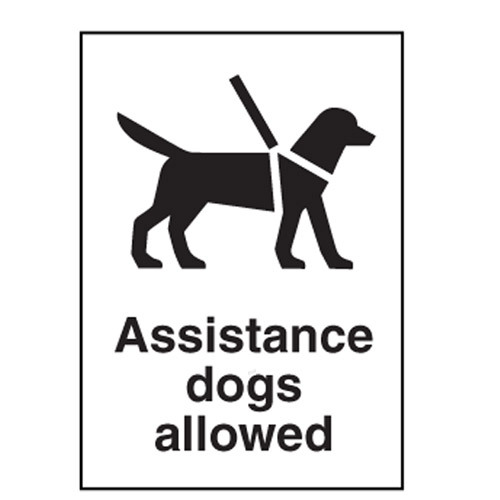 Firstly, it should be made clear that guide dogs are assistance animals, specially trained to guide their owners and have exemplary behaviour. Although they are dogs, they are not pets. Many establishments and taxi drivers seem to class them as pets and make excuses for not admitting or carrying them. Further, guide dogs are wormed and otherwise medicated, to ensure that they are as clean as possible and, because of this, they are permitted to enter food stores and places, where food is prepared, authorised by environmental health bodies. Indeed, the whole purpose is that they can lead their owners, giving these people access to essential services and facilities. Without them, the visually challenged would be forced to have other people accompany or guide them, reducing or removing their independence. Guide dogs are a major asset to their owners and the Guide Dogs For The Blind Association, through support from so many generous members of the public, does a sterling job to train the dogs and match them to clients, where the teamwork, between owner and guide dog, is as efficient and safe as possible. The above paragraph appears to be disregarded by some sections of our society, who wish to conduct business, but, for one reason or another, do not want a dog on their premises or in their car. There follow some examples to illustrate this. Around 5 years ago, attending a church conference in Llandudno, North Wales, I called several hotels in the town, seeking a reservation for myself and my family. Each establishment was only too ready to accept our business for a week’s stay, however, when I politely explained that I was blind and was bringing my guide dog, they immediately said that I could not bring the dog into their premises. One after another, I got similar responses, from larger hotels to smaller boarding houses, with some proprietors being downright rude to me. This was very disconcerting, as, whilst it is understood that some hotels do have a policy that pets are not welcome, exceptions ought to be made for guide dogs. After encountering objections, I raised the matter with the Llandudno Tourist Board, who, apparently, could not- or would not – do anything. I was also interviewed on the matter by the Radio 4 “In Touch” programme, however, nothing much further came out of this. Thankfully, one small boarding house in Llandudno was prepared to welcome my family and my guide dog, albeit they had never had a guide dog in their property before and we have been giving them business, year on year, since. More recently, I have been trying to book accommodation in Wolverhampton, for an upcoming business trip there in early April. Again, When calling hotels, I did them the courtesy of letting them know that I was planning to come with my guide dog and, again, a sizeable number of establishments there turned me away, because they did not want the dog. Evidently, the dog was not going to cause them any bother, but they were not prepared to listen, even when informed that they were breaking the law. In this instance, some favourable hotel deals were available, but I was not able to take advantage of these, because my guide dog was not welcome. Further, one larger hotel, already with inflated prices, said that they would allow entry to the dog, solely on condition that I booked a family room, with an additional £17 per night supplement. 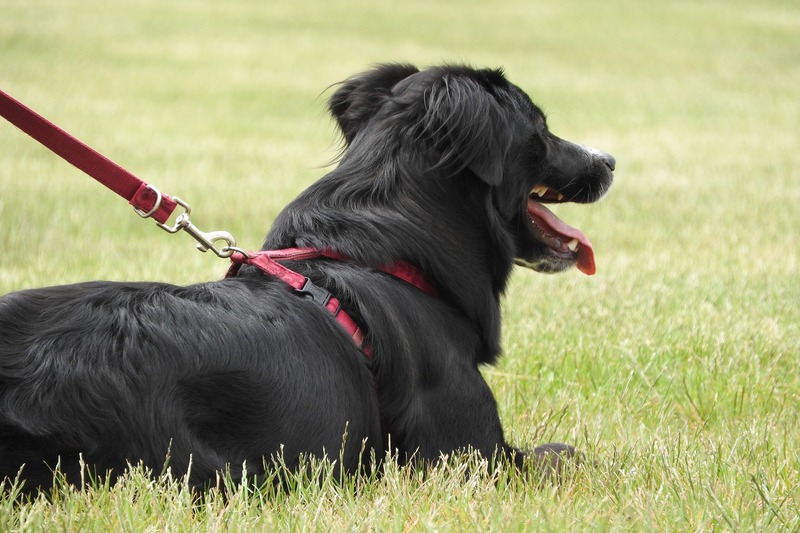 My guide dog is a standard size Labrador retriever and can fit into a standard double room without difficulty. Why should I have to pay additional charges or inflated rates and why can’t I get a room deal, on the same basis as everyone else? Moving from hotels to restaurants, I have experienced some very saddening encounters. Whilst some have been only too helpful and accommodating, others have fallen very short of the mark. Going back to Llandudno, A whole group of us headed to an Italian restaurant for lunch, where a block booking had been made. The rest of the party were all able-bodied and I was the sole member of the group with my guide dog. On arriving at the restaurant, proprietors were only too ready to welcome everyone in, but when they saw me, said “All of you can come in, except the man with the dog. He will have to eat outside.” This was very distressing, not only to me, but to my wife and daughter. On another occasion, we visited a McDonalds outlet in Glasgow and an Asian security guard rushed out and ordered us to leave the premises, as dogs were not allowed. When we demanded to speak with management and they said that the guard’s attitude was wrong, he retorted that, in his culture, dogs are not accepted. He would not listen to any reason, around how clean guide dogs are. More on culture in a moment. I have had instances where I have turned up at a Chinese restaurant for a meal, with my dog leading me and staff have ordered me to go away – “no dog, no dog.” This gets to be ridiculous when you want to give business to some of these outlets and they reject you. More recently, friends, visiting us from the U.S, invited us to join them for a meal at a Chinese restaurant in central Glasgow. My wife called the restaurant to let them know that I would be taking my dog, as I would be heading there directly from work and, after being passed through 3 or 4 people, was told that it would not be convenient for the dog to be there. When challenged that the restaurant could be infringing equality law, the manager became arrogant and said that he was acting on instruction from his boss. My wife, who is of Chinese extraction herself, was very upset by this turn of events. Later, when approached by the media, the same restaurant manager said that, back in China, dogs are dirty and that dogs in restaurants are not accepted in that culture. It is clear that many people, who come from abroad and set up in business here, apparently hide behind culture or religion, when challenged around such things as admitting guide dogs to their premises. Yes, they do want business from us, but they are not prepared to accept that culture here – and indeed law – provides for assistance animals to be accepted in various places. Taking a taxi should be a fairly benign experience, however for some taxi firms in Glasgow, there is a big issue, when a guide dog is travelling. I refer, specifically, to private hire firms (in some parts of the country, these are called mini cabs). When using such cars, I sit in the front passenger seat and my dog sits obediently at my feet, in the front footwell. Indeed, this is exactly what the dog is trained to do. When requesting a taxi, we always inform telephone staff that a guide dog is being picked up, allowing them to inform drivers, who might pick up the call. Very often, we have to wait inordinately longer times to get a taxi sent to us, which is very disappointing in itself, but, more seriously, on many occasions, drivers turn up and hurl abuse at us and drive off. When this happens, we have to call the company back, to get another car and this, again, takes time and results in us being late for appointments, through no fault of our own. As messages are sent out to drivers, there is no excuse for them accepting the call and turning up, if they do not want to take the dog, other than that they cannot read. Again, culture seems to play into this too, we have more issues with Asian drivers than non-Asian drivers. We did approach management at the taxi company, who were less than helpful and had a “couldn’t care less” attitude. On one instance, we had to report an issue to the Glasgow Licencing Board, as we were not getting any resolution from the company concerned. As I cannot drive, I am reliant on the frequent use of taxi services and would expect to get an equivalent, no fuss, service as everyone else. I am not looking for anything more than this. As you can see from the above, discrimination is still taking place in 2017. We are not living in the Dark Ages. So many things have advanced but, for some, attitudes have stagnated. Whilst we can highlight individual cases and many other people will have their own stories, there is a general need for heightened awareness and change of mindsets, across the board. If people want our business, they ought to be prepared to provide service becoming of it, understanding that our society and culture is inclusive and that inclusivity includes the disabled, the visually challenged and the guide dog owner.